Don’t most of us face this problem? Do we miss out on important e-mails? A recent study found out that customers expect companies to respond to their e-mails within 4 hours. The 2014 study by Parature, the leading cloud-based customer service software company, found out that e-mails are the most preferred customer service channel after phones. So, when your customers are constantly checking their phones for e-mails, can you be left behind in answering their e-mails? In this age of cutthroat competition, can you afford to miss out on your guests and prospective guests’ e-mails? Most of us get numerous e-mails every day and it is quite human that we miss out on a few. But I have learnt the hard way that missing out on e-mails costs us customers, bookings and money. Here are a few e-mail strategies which I have tested over a long period of time and have done me wonders in e-mail management. Our inbox are full of e-mails which are either irrelevant or are meant for others. We can observe that in many of the e-mails, we are just copied. I make it a routine (every 2 or 3 hours) to delete e-mails which are totally irrelevant to me. In case, I feel that the e-mails might be useful down the lane, I drag them onto the archive box. This rule applies to e-mails where I am copied too and will be answered by others. An IBM study found out that irrelevant and unanswered e-mails are key contributors to workplace stress. I only keep the e-mails which need action or to be replied to in my inbox. This helps me to have a lean and clean inbox. How many of us peep into our inbox just before hitting the bed at night? Doctors say that this habit can affect our sleep. Moreover, most of us unconsciously check our inbox every 5 minutes or so. Is this really helping you? 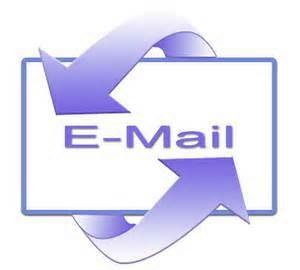 Why not make it a habit to check your e-mails at specified intervals, say every 1 hour or so for 5 minutes. This will make you focus on the e-mails only during those time and work distraction-free in the remaining hours. Turn off the e-mail notifications, if they are making you distracted. And when you are checking the e-mails, never procrastinate in replying to e-mails. Whenever you can reply immediately, do it so. This will reduce the number of e-mails in your inbox considerably. And for e-mails where you need time to reply, keep it unread. Or still better, make a new folder ‘To reply’ and drag those e-mails there. Are e-mails the default options for you to communicate? I have found that people still write e-mails about things which can be discussed over phone. Worst still, they write to a colleague sitting just next to their desks. Can you avoid these? If so, I am sure that the number of e-mails in your inbox will take a southward dip. Remember, what you sow is what you reap. The lesser the number of e-mails sent by you, the lesser will be the replies and the cleaner will be your inbox. Try this for a week and see the results. Resist the habit of copying others in e-mails where they are not required. Initially, when a mail was initiated, some people could have been required. But, maybe over the course of a week or so, it needn’t be that they have to be still kept in the loop. Spare a thought for others too. How many of us search for those important e-mails for hours and then find them when they are the least required? Insertion of keywords on web content draws in more engagement. Insertion of keywords in your e-mails makes it easily searchable. Another strategy which I have found very effective is to reuse mail headings and subject. If the same topic has to be discussed week after week, this is the most effective strategy ever. Insert relevant keywords and the next time you need that e-mail again.. Voila.. it’s just the matter of typing that keyword. Long e-mails annoy me. I believe this is the case with you too. But have you checked the average word length of your e-mails? I am a firm believer of the view that corporate e-mails should not exceed 5 or 6 sentences. Consider e-mail communication as SMS messages and not as short stories. And finally, if you have been on a holiday and haven’t checked your e-mails for a while, start clearing your inbox in a LIFO way. Last In First Out. The reason – In your absence, someone else would have responded to the earlier e-mails. Implement the above strategies and let me know the results.